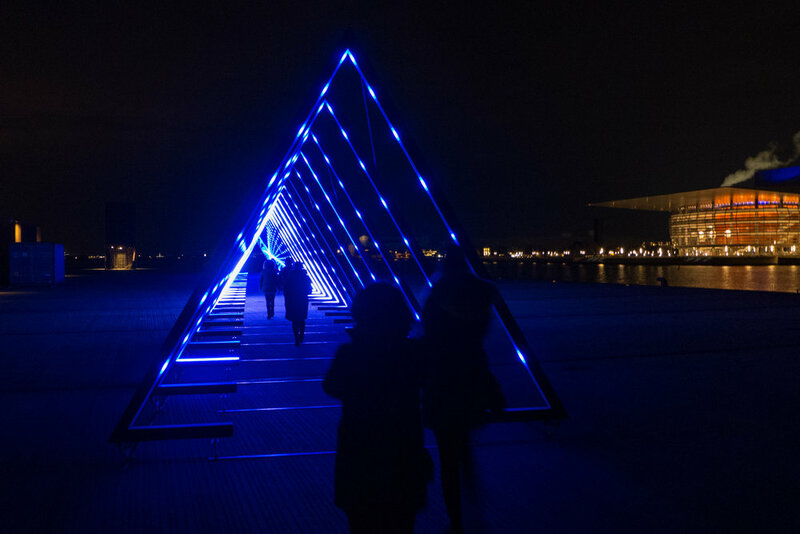 CPH Light Festival is running through February, with Frost Festival 18, with sound and light installations around the city. The Wave, by Mikkel Meyer and Jonas Fehr, has returned for a second winter at Ofelia Plads on the harbour immediately north of the National Theatre and on the other side of the harbour to the Opera House. There are forty triangles, each 4 metres high, set in line along the mole. The light responds to the movement of people as they walk down through the triangles and the haunting sound carries across the harbour to the park beside the Opera House.